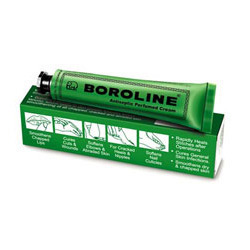 Boroline is an over the counter antiseptic perfumed cream sold in India. The brand was launched in 1929 in Kolkata by Gourmohan Dutta, a Bengali merchant. Our company has been successful in winning appreciation from the clients as one of the most prominent names in offering Boroline Cream . - Clean the skin well and then apply Boroline – gently massaging in the cream. 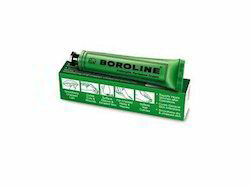 - Warming up Boroline and using it in molten state increases its efficacy – specially in curing skin infections. - In case the cut is open and deep, it is advisable to apply Boroline only when the cut has closed and begun to dry up. During early stages apply Suthol and keep the cut covered and dry. it's special oil-rich formula enriched with natural lanolin, which protects and softens skin.